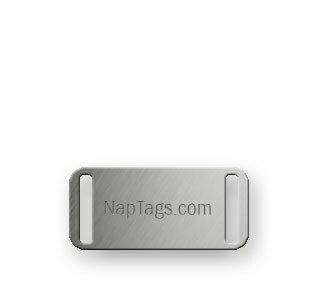 Nap Tags' 304 Grade stainless steel tags are durable, and look great! We laser engrave them with far more detail than traditional rotary engraving. They feature two cut-outs to slide through cords, ties or other fasteners.